Astrology amazingly enough is still using references to information used over two thousand years ago. Despite all the progress humankind has made since then, the foundational or structural points of astrology remain unchanged to this day. Of course when dealing with the immutable structure of the cosmos, which has been a permanent fixture as backdrop to our place in the universe for millions of years, it doesn’t seem too unusual. Some things never change, like the planets revolving around our sun in our solar system. So it makes sense that our reference points in astrology are the same ancient ones used in Babylonian, Egyptian, Arabic, Greek, Roman or Vedic times. And yet some things do change, albeit incredibly slowly, like the precession of the equinoxes, which is a 26000 year cycle more or less. Still, the constellations of the zodiac, based on the positions of the fixed stars in the heavens, are thousands of years old and are still the fundamental reference points in our astrological system, whether tropical or siderial. And that system is used for two primary functions, namely prediction and personality. “It is written in the stars” is just as good as saying it is written in stone, when referring to something irrefutable, immovable or incontestable. So it seems that human nature, with all its complexities and nuances, is the same as it ever was, the same basic and predictable system of consciousness, expressing itself via the same body and mind that existed thousands of years ago, if not millions. Human beings still have the same body/mind organism through which to perceive their realities, as well as to perceive themselves, to whatever degree of self-awareness their existence allows them. And thus astrology, as a system of analysing or interpreting that awareness, remains as valid as ever. The human who engaged in eating, sleeping, mating and defending millennia ago is the same as the one today. And the person engaging in self-reflection back in the mists of time is the same too, despite the external sophistication that may have been added layer by layer since then. At the core of it, certain eternal irrefutable truths have remained and always will. And it is precisely that which enables us to cut through the external, superficial so-called sophisticated trendy, fashionable yet fleeting aspects of existence and self-awareness, to find the unchanging core of our natures and address those core needs or questions. Who am I, why am I alive, what happens when I die? These are actually the real core existential questions that have been asked by humans whether Babylonian, Arab, Greek, Roman or Vedic, throughout the millennia, and whose answers remain exactly the same now as then. And it is these questions to which we should be focusing our consciousness as human beings in this rare and valuable human form of life, where we have the ability to be self-reflective, more self-aware, compared to the rest of life on earth. Eating, sleeping, mating and defending may well be necessary for survival, but unless we raise the level of our endevours beyond that basic level of existence, we are in fact no better than polished animals, pigs in silk, appearing to have attained so much more sophistication that our predecessors in history, with apparently greater levels of sense gratification based on ever newer technology. Yet still we have not leaned to conquer death and disease, we have not learned to pacify the addiction to mating and eating, nor do we know who we are and what to do at the time of death in order to gain the perfection of this human form of life in securing permanent transcendence from its temporary shackles. 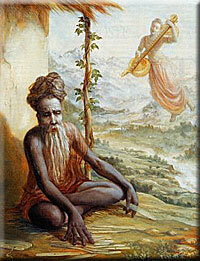 This is the meditation of the true philosopher now during this month of the Sun’s transit through Sagittarius.